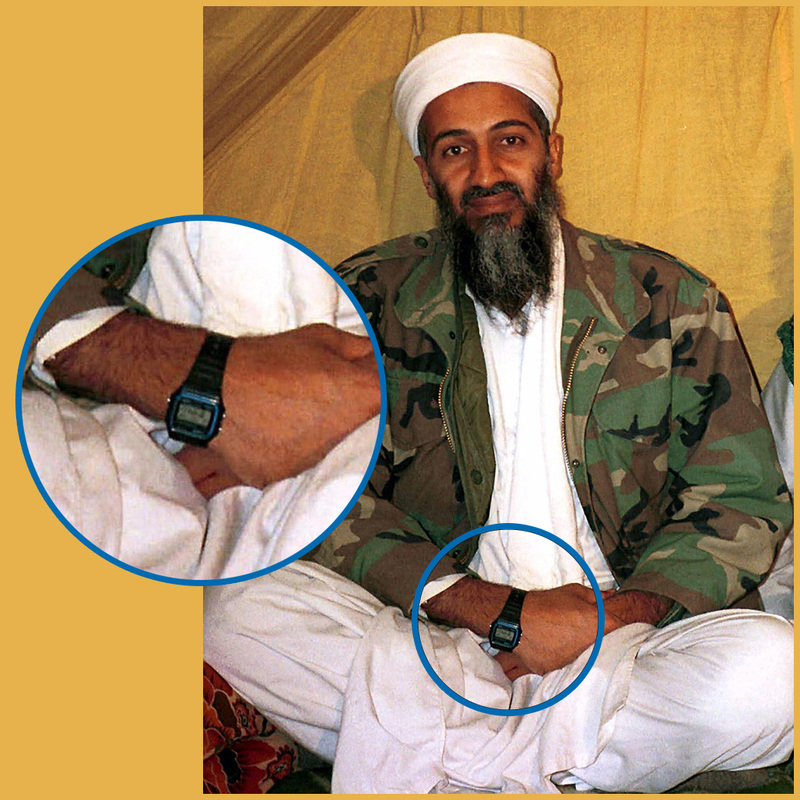 Osama bin Laden wearing a Casio F-91W. The image is genuine, as far as I can tell. “We purposely don’t market it as anything cool or trendy,” Tim Gould, head of marketing at Casio UK told the BBC. 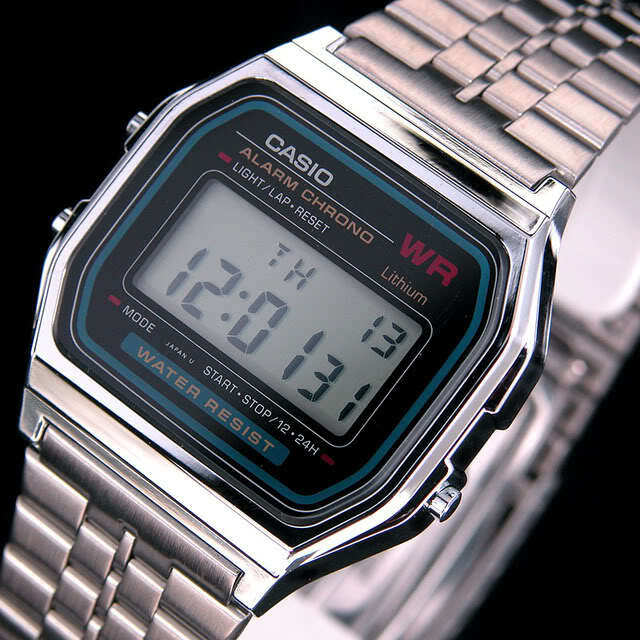 The reworks series gets inside the Casio F-91W digital wristwatch, one of the most commonplace items of consumer electronics. Mass produced Casio F-91Ws are stripped down and their components reworked using a combination of industrial and craft processes. They’re then carefully reassembled to build at once familiar and unique timepieces. The Reworks story begins with growing up in the 1980’s. 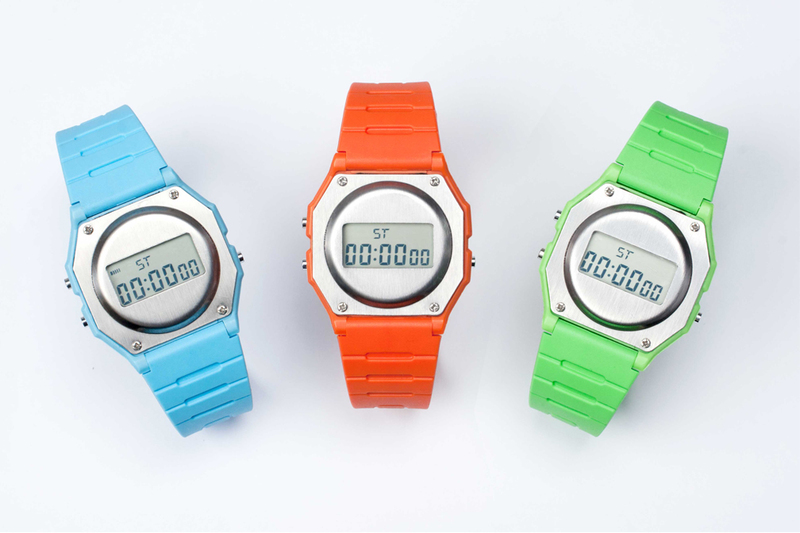 Back then a Casio digital watch was mandatory and when the F-91W was introduced 1991 it was the model to have. The watch felt hi-tech and was reliable, accurate and cheap too. It achieved near ubiquitous product status, gracing first and third world wrists alike. The Guardian (2011): Guantánamo Bay files: Casio wristwatch ‘the sign of al-Qaida’ & Casio’s F-91W watch: the design favourite of hipsters … and al-Qaida.